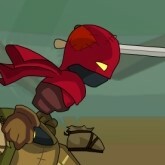 Flash games are very appealing thanks to their simplicity and availability. When you have a few minutes to yourself and are looking for a way to unwind that does not involve social media, these games are gems. The games started off very basic then moved on to become more involved and thus found homes in favorite sites such as Addicting Games. At first, most of the games they offered could only get played on the web, but now they can get played across different devices with ease. I will list a few fantastic games that you can play using your favorite browser. 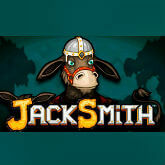 In this game, you take up the role of a blacksmith in a quaint town so that you can arm your warriors with excellent weapons. The crafting process is quite simple and involves simple tasks such as hammering of edges. You then take up a supervisory role where you oversee the activities of your warriors as you fight off invaders. In the fights, you get an opportunity to collect various resources such as gems which enable you to build better weapons and thus your army gets better with time. The play is quite simple, and you are not required to do much during fights as they are automated. The outcome of the battles gets pegged on how refined your weapons are. As you progress, the game becomes harder as you start getting more significant orders for armor with very little time and it is up to you to prioritize. You will have fun fighting off animals as well as any other miscreants that you come across during the play. The game is simple, and it gets its basis from mining techniques. As a player, you get to control a mining pod that is making its way into the earth. 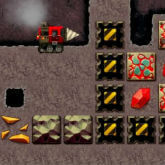 To get to the ore, you need to use the direction controls to guide the device to the mineral. Once the machine runs out of fuel, you move upwards to reach a fuelling depot. If you wish for the machine to last longer underground without refueling frequently, you have the option to upgrade its fuel tank using the in-app purchases. You can also acquire items that can make the mining procedure easier such as stronger drills and explosives. You will appreciate your efforts once you set your eyes upon gold after hours of play. This game comes in 2D, and the scenery is impressive as you get to see deserts and peaks. You must rescue the Princess Peach, and in doing so, you have to get through various hurdles that range from climbing to jumping. On low lying areas, you can run or do triple jumps to enhance your movements. The controls to the game are easy to master, but if you wish to use more advanced controls, it may prove difficult. 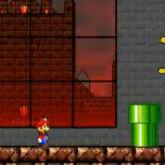 You will find various features borrowed from previous Mario games to bring in the sense of nostalgia. 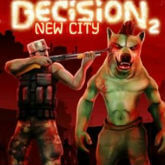 In this game, you find yourself in a metropolis filled with zombies and all you have with you is an arsenal of weapons. You have to be alert to ensure that you too do not get infected by coming into contact with the zombies. Most of the attacks that you will undertake are shooting, and the control for this is simple. Once you find yourself in the city, your mission is to exterminate all zombies in the area and take back the neighborhoods. Zombies appear in hordes, almost seconds after each other and the scenes do get bloody. The good thing though is that you have adequate ammunition at hand to fight off your attackers. This game is very entertaining and has a simple storyline. You get to take up the role of the city’s most exceptional thief who somehow manages to evade the law on all occasions. A rival thief manages to take up the title, and the praise gets to you as you try to reclaim your position at the top. All you have to do is catch your rival and collect the reward money. A lot of the game involves running, jumping and sliding as you try to make your way through the city. You also get to use parachutes, clash with the local authorities and gain abilities during the play. The next time you need a way to relax, try one of these games and get enveloped in a world of adventure.